Hope you're all well and that your 2017 is awesome so far! I promised to blog more this year...so far I've lacked a little in the posting department, but I'm trying!! Today's post is a little different to my normal subject matter; I'm talking about skincare. 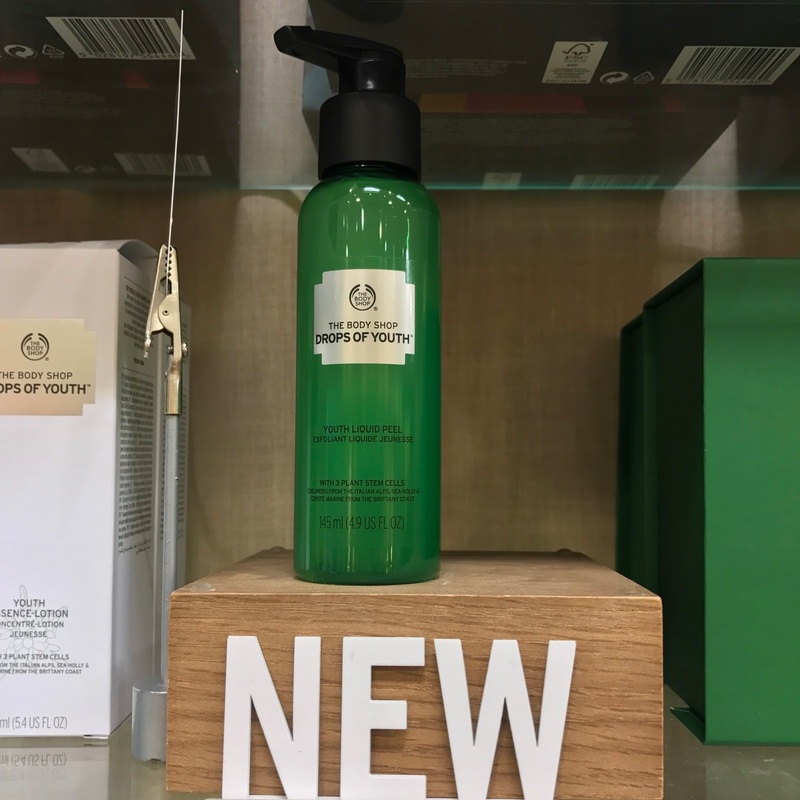 I was kindly invited along to The Bodyshop this weekend to sample two of their recently launched products, but I didn't expect to come away with a whole new skincare regime...mind blown!! So what was I sampling I hear you cry? Quite possibly two of the most amazing products ever, Drops of Light: Pure Resurfacing Liquid Peel and Drops of Youth: Youth Liquid Peel. The difference? Each product offers different benefits for your skin. The outcome; be gone horrible winter dry-skin! Perfect remedies for my battered winter running face, I couldn't wait to try them. Before I say anymore, I just want to point out how amazing and friendly the staff at Sunderland's Bodyshop store are, and how knowledgeable and helpful the lovely Leanne was, who was dealing with my dry, wintry, old lady hands! 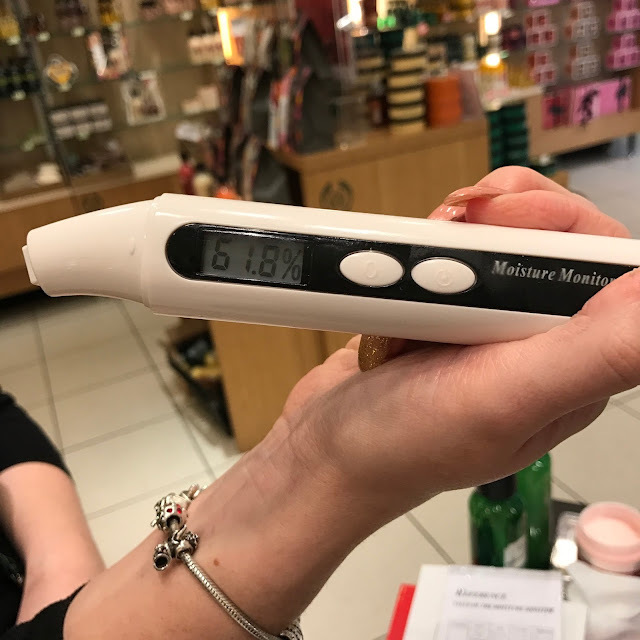 Okay, before we did anything, Leanne checked the moisture levels of my skin by doing a test with their resident moisture machine on the back of my hand. I knew the results wouldn't be great. I'm often out battling the elements with my dog, or running miles in icy winds, so winter is never kind to my skin. 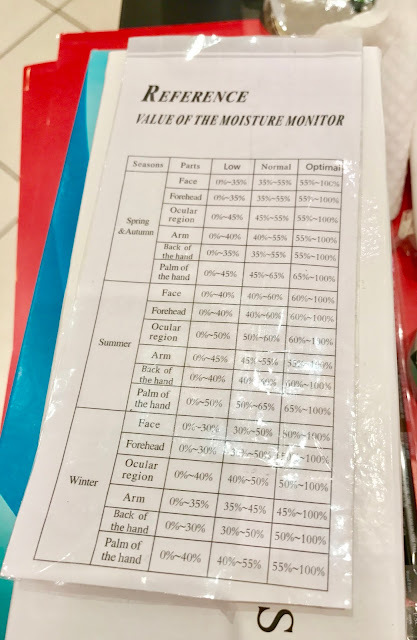 As you can see from the reference chart, before any treatment from the products, I should have been looking at anything over 40% for normal levels of moisture in my skin. My left hand was a shocking 10.5%...my poor, dehydrated lefty!! 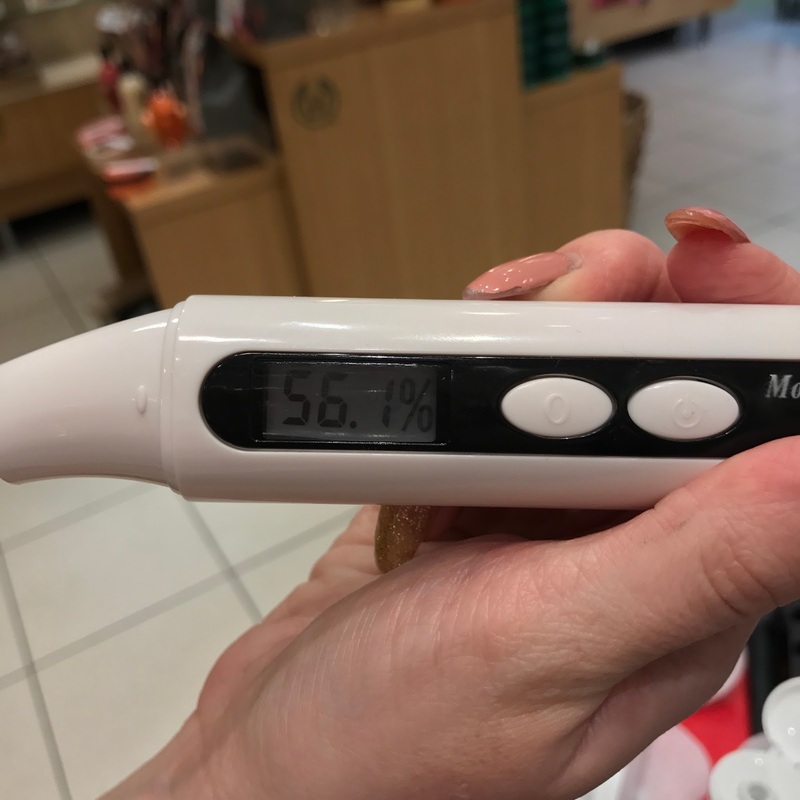 I was up to 61.8%...take that winter!!!! So how about Drops of Youth...? So my equally dry righty was about to get the Drops of Youth treatment. Promising 'fresh, smoother and more luminous youthful looking skin', this peel (applied in the same way) contains three plant cells, edelweiss from the Italian Alps and sea holly and criste marine from the Brittany Coast, which remove impurities to leave skin feeling cleansed from the day's pollution. Continued use is said to make skin look more youthful and luminous, which is never a bad thing, is it? After undergoing the same treatment, this time my righty was up to 56.1%, slightly less than the lefty, but still a phenomenal improvement!! Wowsers! My skin felt amazing too! 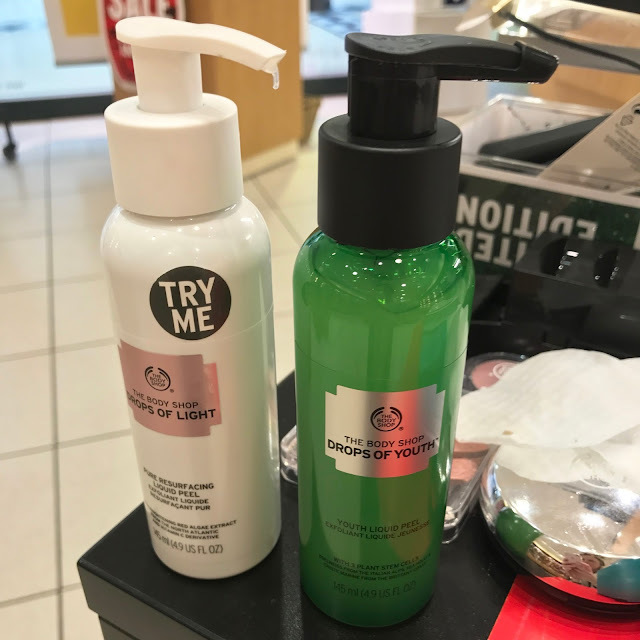 I was offered a full size product to take away with me and initially plumped for Drops of Light, but as there was low stock in store, I took a Drops of Youth instead and I'm so glad that I did. The Drops of Light started to sting my skin a little which Leanne pointed out could be a result of the Vitamin C, as it can be quite strong on more sensitive skin types; but this can be expected from any skin product which is why I would always recommend trying stuff out for yourself. 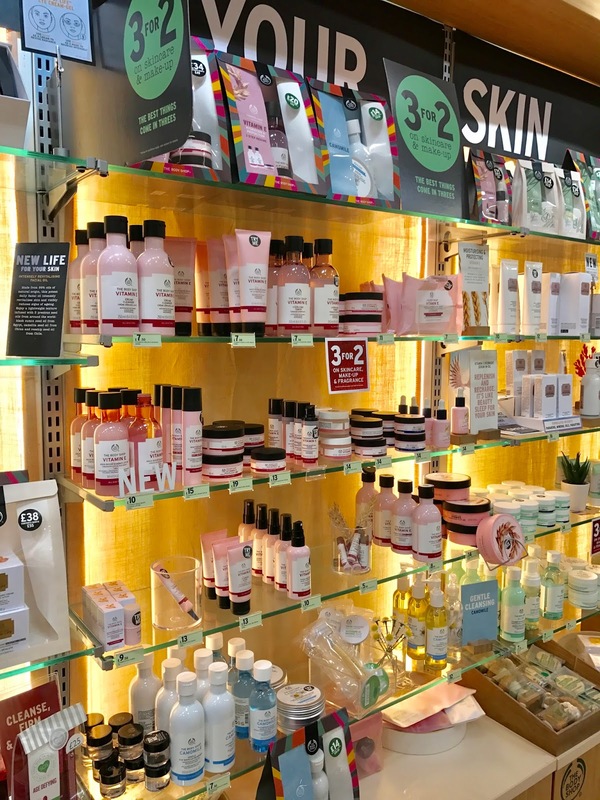 At The Bodyshop, the staff are super helpful and will gladly assist you in choosing the right products for your skin-so don't hesitate to ask. I'm so glad I did, as Leanne also pointed me in the direction of their Hemp Hard-Working Hand Protector for the sore and broken, weather-beaten skin between my fingers. I left with a full-size tube on offer for £6 instead of the usual £12-it's absolutely amazing and by far the best hand cream that I've ever owned!! So what's this I hear about a skincare regime...? 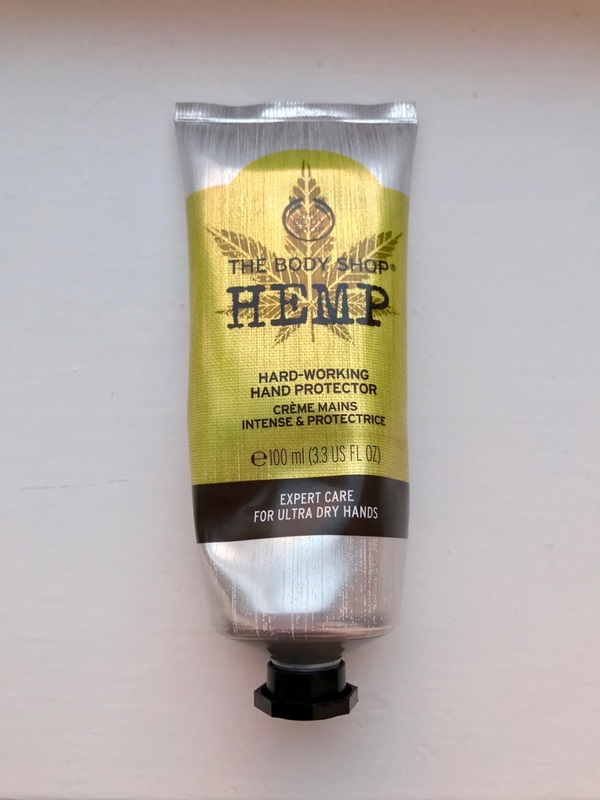 Yep and I already had these products at home (minus the Hemp as discussed!). Just as I was about to leave, I got chatting to another helpful assistant (whose name I didn't catch but she was lovely!) who asked about my skincare regime. 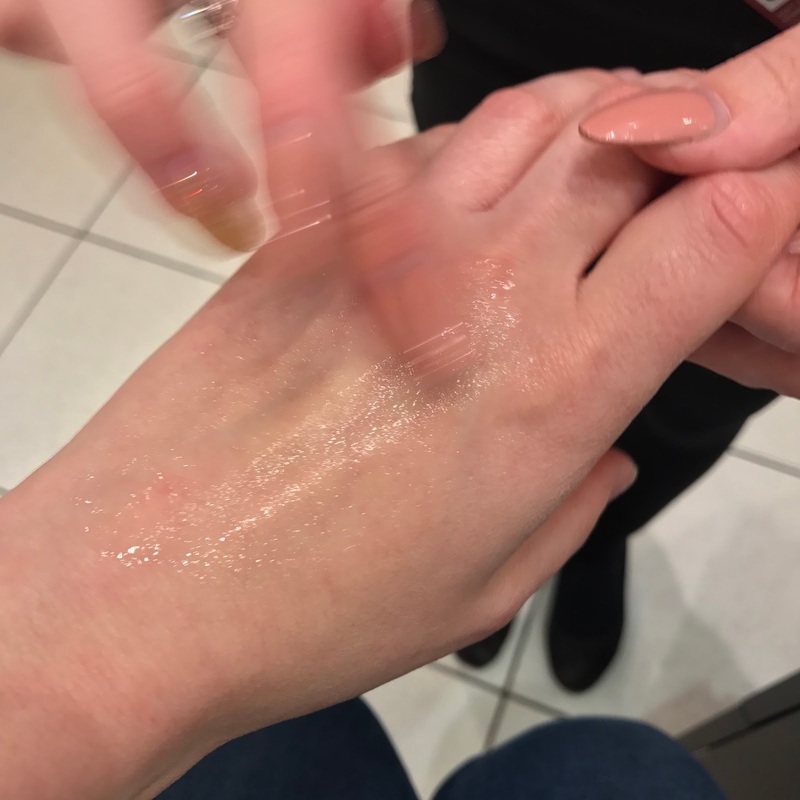 I always think it's massively daunting when I go to a makeup counter to talk about skincare and they recommend about 3654725 different products to put on my face, but at The Bodyshop there's none of that. She recommended that I wash my face and cleanse (maybe with a face wash though rather than a bar of soap!!!) as I have been, then just apply my Vitamin E eye cream, followed by slathering on lots of my Vitamin E moisture cream; she said my skin was beautiful, just dry. She even recommended that I put everything next to the shower, so I just do it without thinking, ha! Well, I've been a good girl and I've stuck to it; my skin is glowing and with the addition of the skin peel twice a week, I'm safe in the knowledge that I'm getting rid of all of those nasties that get caught up on my face throughout the day too! I couldn't have asked for a better preview! 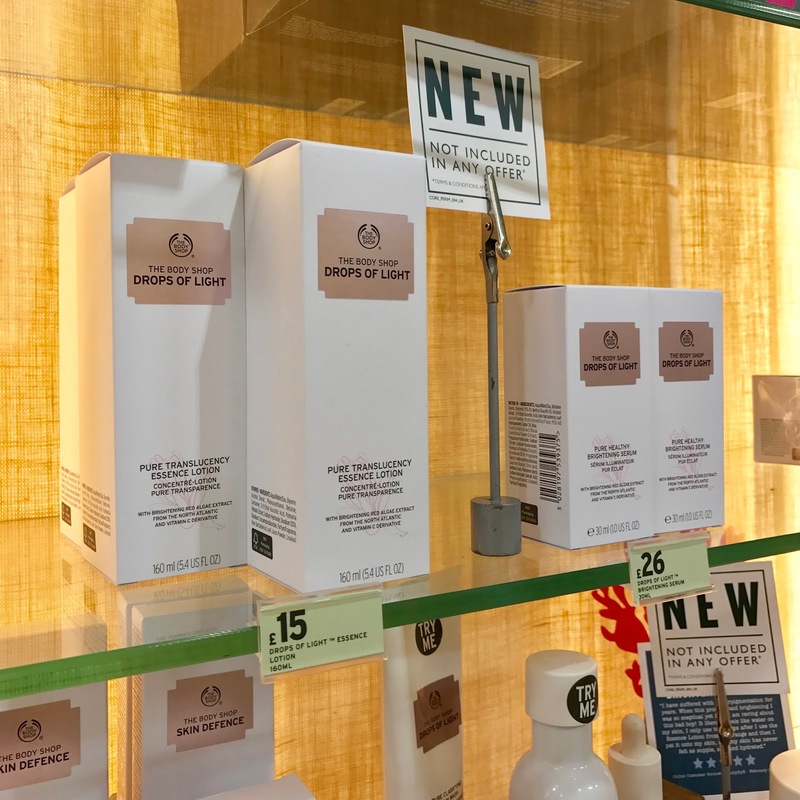 Thanks to the staff at The Bodyshop, The Bridges, Sunderland for having me along to try out your new products (and for pointing me in the direction of other amazing ones too!). Thanks also to Sam at The Bridges for inviting me to this event. 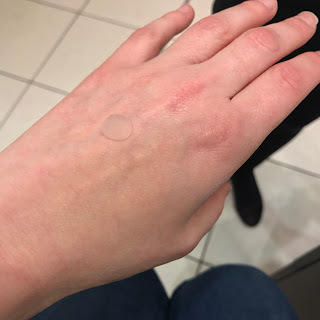 I was given a full size Drops of Youth Liquid Peel (worth £15) in exchange for this review, but all opinions are my own; I love the product and will definitely be re-purchasing! 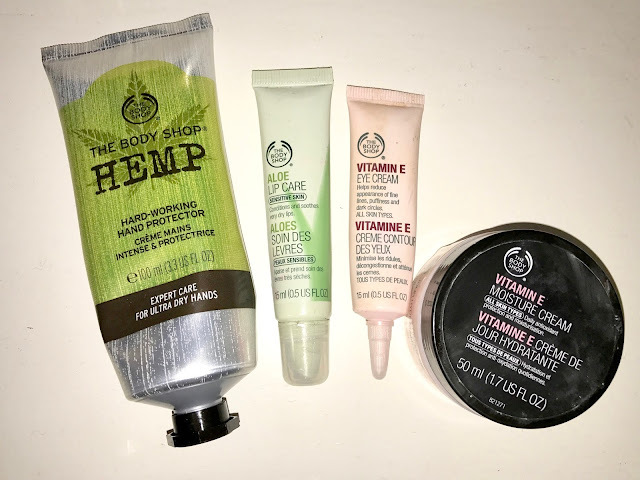 I've picked up a few bits of skincare from the Body shop recently and I have to say I've been very impressed! The body shop products never fail to impress me and your review shows that this skin peel will surely be worth buying especially for winter effected skin.